You know the cardinal rule for turning potential clients into enduring clients: First impressions matter. You do your best to look professional, groomed, manicured and clothed to suit the situation. But do you know that your building also has one chance to make a good first impression? Walkways and entrances. Are your walkways and entrances regularly swept and cleared of any dirt or litter that has blown in? Is any grass neatly edged and are plants pruned? Are your walkways well maintained and clear of anything that could cause people to slip? Windows and doors. Where there is glass, there are smudges — unless you take care to clean heavily used doors regularly. Sparkling glass often goes unnoticed, but glass covered in fingerprints and worse just looks sloppy. How about any metal doors, such as for an elevator? Is it polished to a sheen? Floors and furniture. 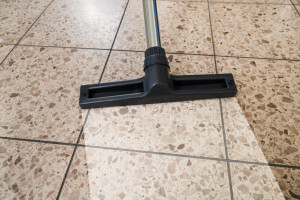 Are your floors cleaned enough? They should be both swept and mopped frequently. Dust on end tables, lamps and baseboards is a tell-tale sign that someone is not paying attention to detail. Lighting. Are your lobby, reception areas, elevator well lit? Light has a way of elevating one’s mood, and a darkened interior — especially one where light bulbs are burned out — is a real downer. It can make a newcomer wonder what else gets ignored. Bathrooms and drinking fountains. A spotless bathroom that is properly stocked with paper products is absolutely essential, and don’t forget that many people use drinking fountains and expect them to be sparkling and operating as they should. You may know that we began as a commercial cleaning business. But did you know we’ve expanded to provide the entire spectrum of facilities management services? Get in touch with us today at (801) 994-6924to discuss how we can help you make a fabulous first — and lasting —impression.